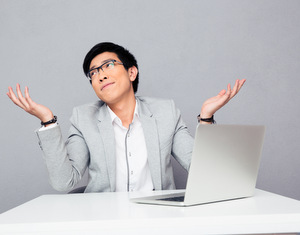 Usage notes: The subject pronoun on in the expression on ne sait jamais is the generic "you" or "we," meaning people in general, and jamais means "never." 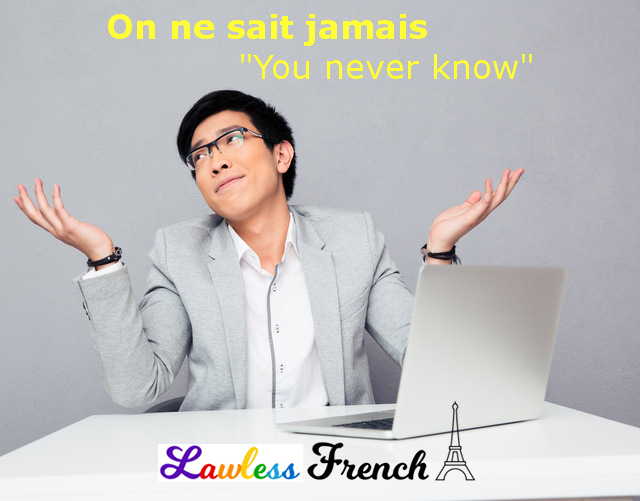 So on (ne) sait jamais literally means "you never know." Remember that in informal French, ne is usually dropped. On ne sait jamais qui va marquer le premier but. You never know who will score the first goal. C’est un bon mystère, on ne sait jamais ce qui va se passer. It’s a good mystery, you never know what’s going to happen. On ne sait jamais is commonly used as a sort of fatalistic statement about a possibility, whether good or bad. Je dois trouver mon parapluie avant de partir, on ne sait jamais. I need to find my umbrella before we leave, you never know. Nous avons acheté le tableau de Michel sans l’avoir examiné, on ne sait jamais ! We bought Michel’s painting sight unseen, you never know! Note that this is grammatically incorrect: "you don’t never know." On ne sait jamais avec lui si c’est du lard ou du cochon. – You never know where you are with him, You never know what it’s about. Literally, "One never knows with him if it’s pork or pig." Nowadays lard means "fat" or "bacon," but this expression dates back to a time when lard was another word for a cochon, so the expression was using two different words that refer to the same thing. Absolutely loving your emails! I feel like I am learning more from you than I ever did from university French classes. Dear Laura, It is probably not important, but I am an old guy of 82, and have loved your missives for many years. Regards, Tony.